A woman in Yishun was arrested on Saturday (May 27) after terrorising her neighbours for over a year. The 63-year-old woman was said to regularly splash an oil-like substance that smelt like urine across her neighbours' doors and corridors. She would also place balls of toilet paper and used sanitary pads outside their flats. There have been other instances of people behaving unneighbourly which have made headlines. 1. Pasir Ris "neighbour from hell"
Dubbed as the "neighbour from hell", Mr Liew Chien Siong was said to have caused numerous sleepless nights for his neighbours at Block 612, Elias Road for over five years. 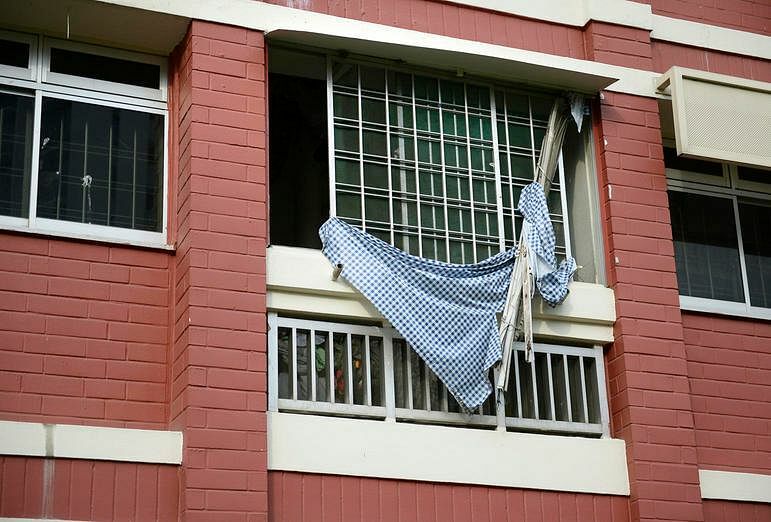 Neighbours whom The Straits Times interviewed in November 2014 revealed that Mr Liew, who lived alone on the second storey, banged on his walls and ceiling at all hours. Earlier in August 2014, the town council had to cordon off the ground floor area beneath his flat after a window blind was spotted hanging dangerously hanging out a window. In November 2015, The Straits Times reported that the racket resumed after a brief hiatus between January and July that year, after Mr Liew was discharged from the Institute of Mental Health. He had been arrested under the Mental Health Act the previous November - and discharged in January - after Housing Board inspectors found damage on two walls in his home. A Jurong West resident told The Straits Times in February that his family had been putting up with flies and a bad smell for nearly two years, after a neighbour with more than 20 cats moved into Block 716, Jurong West Street 71. "It is like living above a sewage plant," said retired teacher Dominic Wee, 57. The home owner was taken to court by the Housing Board but the problem has persisted. Everitt Road in the Joo Chiat area has hogged headlines a number of times for neighbours not getting along and acting unruly. Mr Chan Cheng Khoon and his family gained media notoriety between 2004 and 2006 for several long-running feuds with neighbouring families. The Straits Times reported in 2009 that of the seven families embroiled in the epic feud, three moved out. Two families cited harassment as the reason for them leaving. Neighbours recounted how they would regularly be taunted for merely walking past the house. 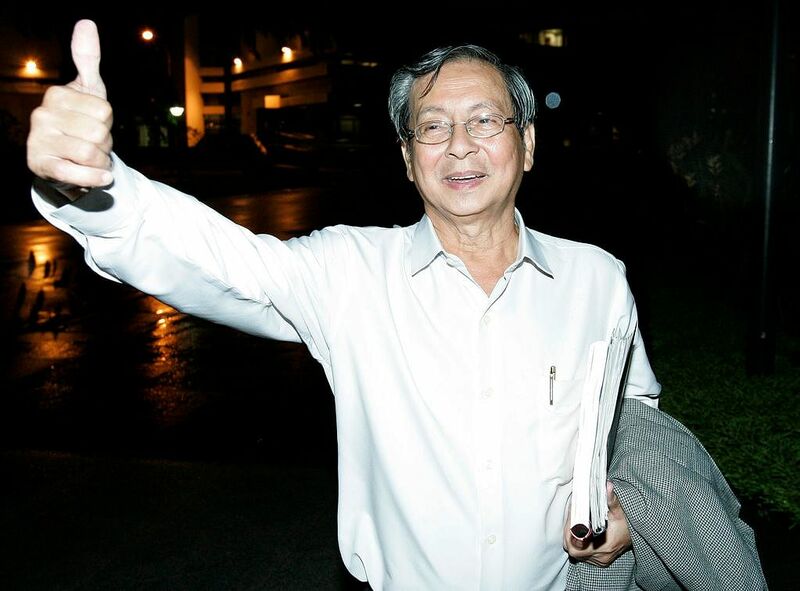 His daughter, Madam Chan Soo Yin, was also hauled to court in 2005 over charges of obstructing traffic, after she stood in the middle of the road during one of the frequent disagreements. The Chans were also said to have thrown objects at their neighbours' homes, stopping only after they were hauled to court. Madam Chan received a fine of $2,000 for harassment, while Mr Chan, who was hauled to court multiple times had received several fines of up to $4,000 for harassment.